"The Remedy is a genuine game changer." Stemming from our highly successful Sonos Connect modifications, we are pleased to introduce a uniquely revolutionary product, the Remedy reclocker. This highly advanced digital reclocking device removes digital errors and drastically improves jitter utilizing an incredible Femto-grade clock. Pair the Remedy with the DAC of your choice and transform your favorite consumer digital source into a truly audiophile-worthy component! Recommended applications include: Sonos Connect, Apple TV & Airport Express, Squeezebox Duet & Touch, iPod docks and many more! The SPDIF output's sample rate is factory configured to 96kHz. Some DACs can miss-read the status bits for the proper resolution when outputting the signal at 96kHz causing problems with playback; for example displaying the incorrect resolution. 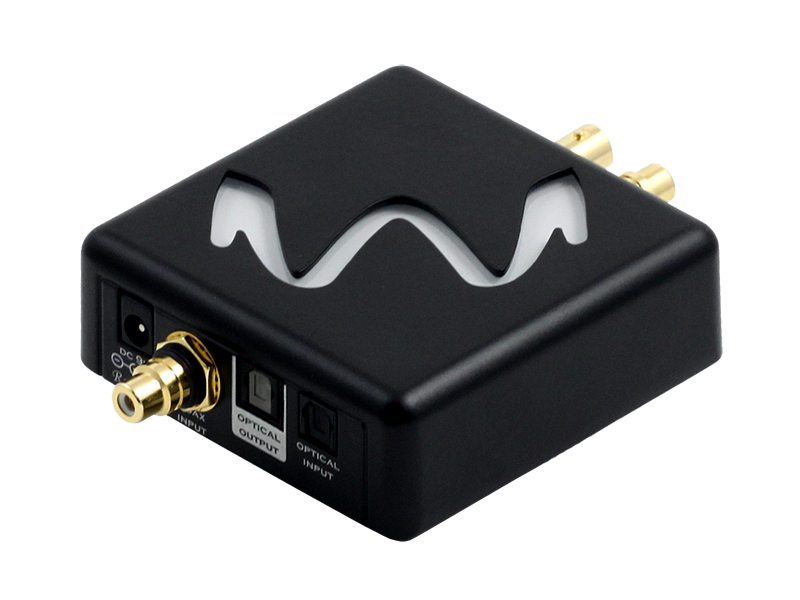 If a Wyred 4 Sound DAC is being used then the 96kHz will work properly. For compatibility we can set the output to 44.1, 48, 88.2, or 96kHz. 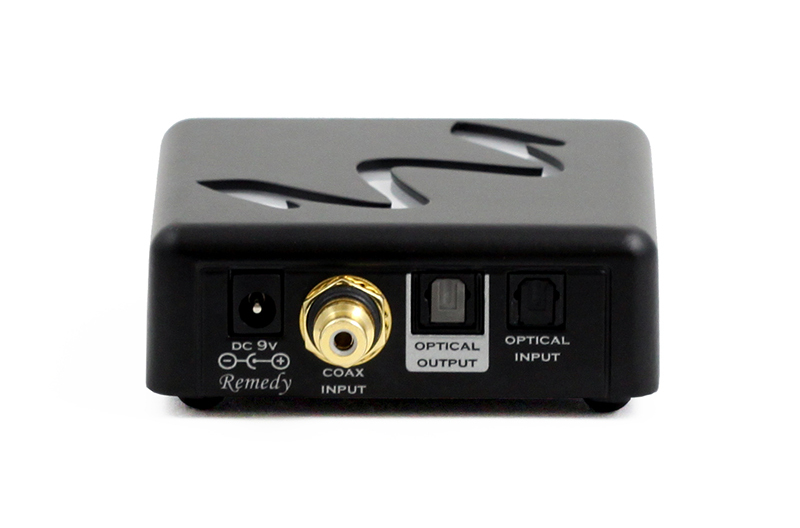 If your DAC is only capable of a lower resolution please let us know to set the Remedy to the proper resolution. Please add this request to the comments section on the order form. "It took all of 15 seconds listening to the Remedy to determine that it is staying in my system." "Over the several weeks I used the Remedy, I cannot think of a single time it did not make the music more enjoyable and engaging." "Once again for a Wyred product, the Remedy does exactly what is claimed for it; and does so for a fair price with high build quality." "When adding the Remedy into the system it took no time at all to ascertain the effects. The entire soundstage matures and a fullness comes over the music"
"I have received my remedy – thank you. 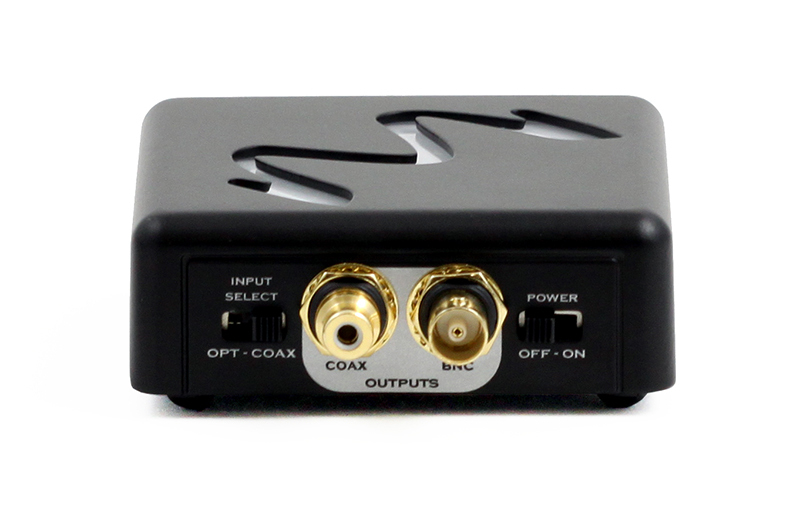 It makes an amazing difference to the TV digital audio signal. I didn’t realize how poor the sound was before, and now it’s really good." Digital inputs support up to 24/192kHz! 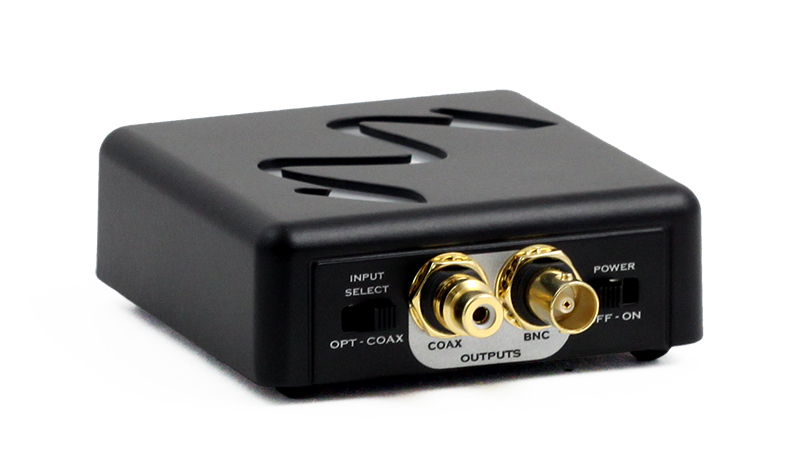 FAQ: "I have one of your DACs with the Femto clock. Is there still a benefit to getting a Remedy or Recovery?" The short answer is yes, as the two clocks do different things. For the complete answer, click here. *Some older DACs cannot accept this high of sample rate. Double check your DAC to be sure. 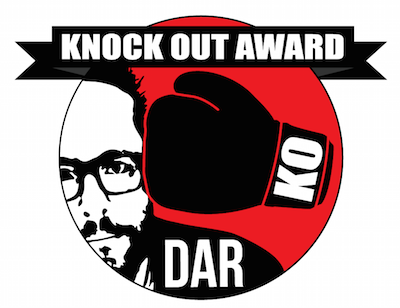 The Remedy is a genuine game changer for almost every entry-level digital audiophile so DAR-KO award assignation is the only way to wrap this review . And the review unit? It’s all mine! Once again for a Wyred product, the Remedy does exactly what is claimed for it; and does so for a fair price with high build quality. The Remedy represents a good ratio of performance to value. Not only do I plan to purchase the review sample but I will most likely order a second Wyred 4 Sound Remedy. When adding the Remedy into the system it took no time at all to ascertain the effects. The entire soundstage matures and a fullness comes over the music. If your music is sounding dull and lifeless lately, this Remedy may be your cure. Thank you! Thank you ! Thank you! Connected the Reclocker, which solved my streaming problem, and the system has NEVER sounded better!!!!!!! Kudos to your entire team!!!! You guys rock!! (And now, so does my house).